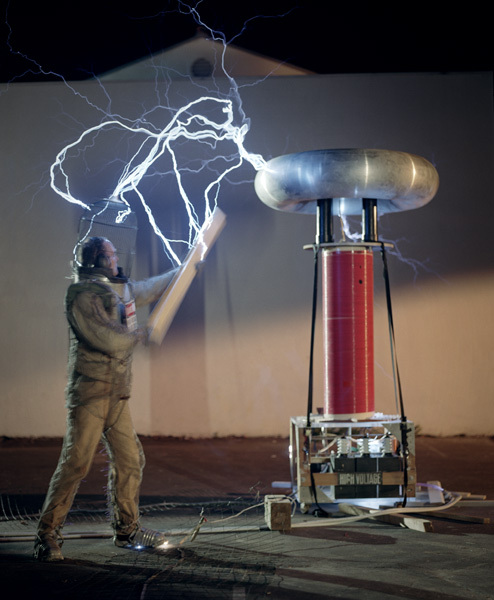 The Exploratorium kicks off its 40th anniversary celebration Thursday night with an After Dark mixer featuring Dr. Megavolt and his spectacular battles with electricity. [ October 17, 2009; 11:00 am to 12:00 pm. ] For October’s UC Berkeley’s International Year of Astronomy talk, Imke de Pater, Professor of Astronomy, will be guiding her audience on a tour of the Solar System. [ August 11, 2009; 6:00 pm to 7:30 pm. ] John Jenkins, Principal Investigator at the SETI Institute will be speaking at this month’s Cafe Scientifique on how scientists will use the newly-launched Kepler satellite telescope to search for exoplanets. [ August 10, 2009; 7:00 pm to 9:00 pm. ] Seth Shostak, Senior Astronomer at the SETI Institute will be discussing his new book Confessions of an Alien Hunter at this month’s Down to A Science Cafe, Monday August 10th from 7-9pm at the Atlas Cafe, 3049 20th St @ Alabama St. in the Mission District. We’ll be spending the next couple of days down at Ames Research Center in Mountain View CA, attending the 2009 Lunar Science Forum conference. 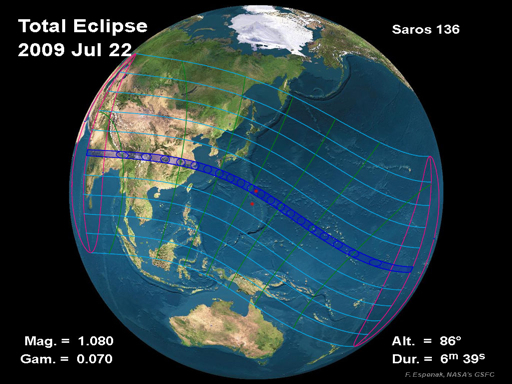 The only total solar eclipse of 2009 will bypass the U.S., so the best way to catch it will be via webcast.